Discover the islands of Lérins in stand up paddle! A moment of relaxation and sharing ! A unique Paddle experience ! SUNSET - An unforgettable outing ! 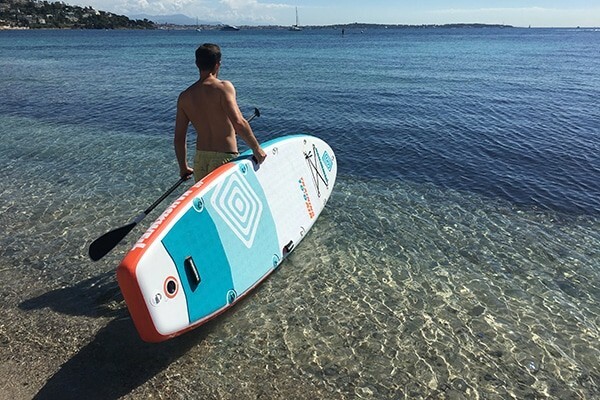 Cannes Stand Up Paddle Evasion is a nautical base specialized in boats with human propulsion. 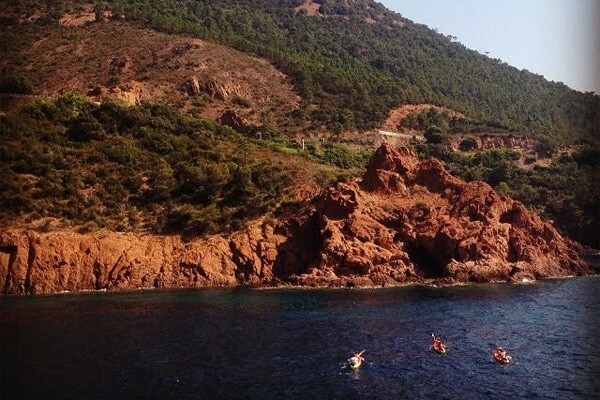 It is with happiness that we offer you throughout the year rentals of stand up paddle and sea kayak to go to discover the islands of Lérins which is only 20 minutes by paddling quietly. In an original and fun way to discover this fabulous archipelago located just in front of Cannes. Departures are from our beach near the casino Palm Beach (Croisette point) in Cannes. We also propose to you to sail by leasing, with or without a monitor, your stand up paddle directly on our private beach, in order to discover the coast of Cannes or simply, to be initiated in front of our base. Discover also our fleet of pedal boats that will allow the whole family to enjoy the joys of the sea safely. 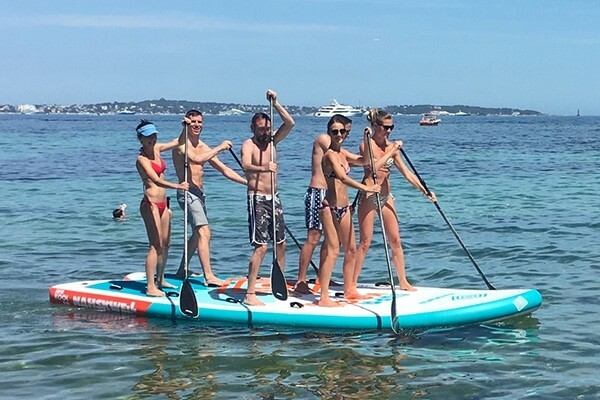 LEADER on the French Riviera and more particularly on the city of Cannes, CANNES STAND UP PADDLE EVASION will be happy to welcome you and to give you the best advice so that your passage among us is unforgettable. We invite you to visit us throughout the year on our base located at Croisette Point and discover the islands of Lérins in Stand Up Paddle, an original and fun way to discover this fabulous archipelago located just opposite Cannes. 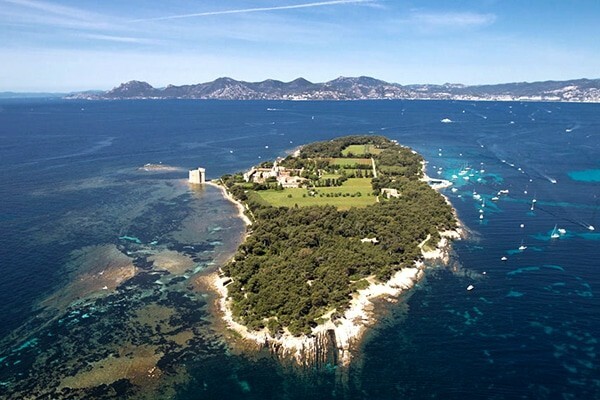 The islands of Lérins are composed of two islands: the island Sainte Marguerite, the nearest and largest, and the island Saint Honorat, very famous for its monastery and its abbey where live about thirty monks. The islands of Lérins are ideal for the practice of the stand up paddle, you will be guided from our base located at the Croisette point in Cannes towards the island of your choice where you will be able to navigate alone or with a monitor. The stand up paddle around the islands of Lérins does not involve great difficulties, although a briefing on your course, technique and also safety will be given to you at your departure. 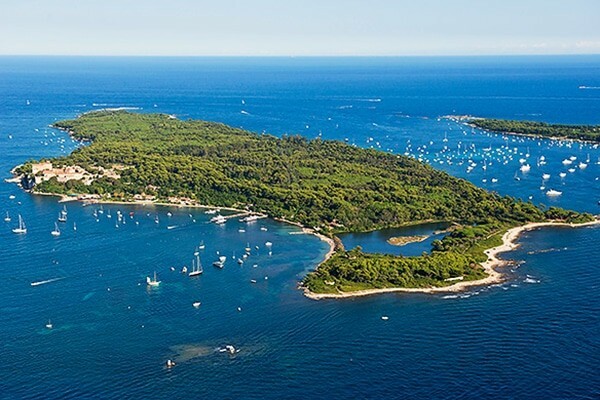 Do not wait any longer and embark in Cannes for an unforgettable moment in paddle to the islands of lerins! Randonnée encadrée et location de stand up paddle autour de l’île Sainte Marguerite. 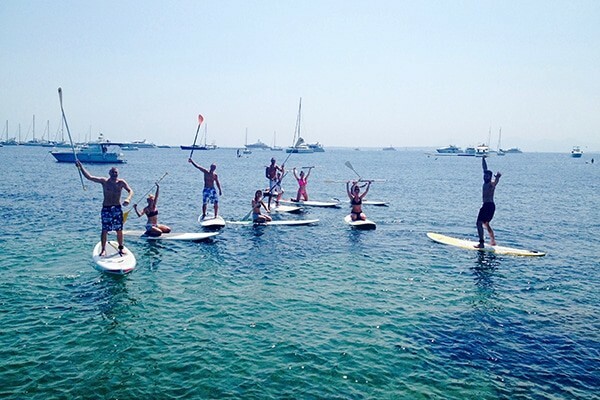 Framed hiking and stand up paddle rental around Saint Honorat Island. Discover the islands of Lérins at sunset. 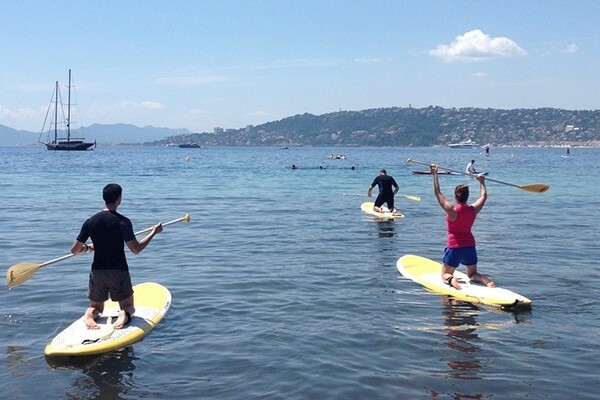 Rent your stand up paddle from Cannes. Explore the islands of Lérins, Cannes and the French Riviera in paddle. Learn the stand up paddle with our monitors. Let yourself go along the water and admire the beautiful scenery of Cannes. A stroll in SUP in a sensational landscape, at the foot of the Estérel. 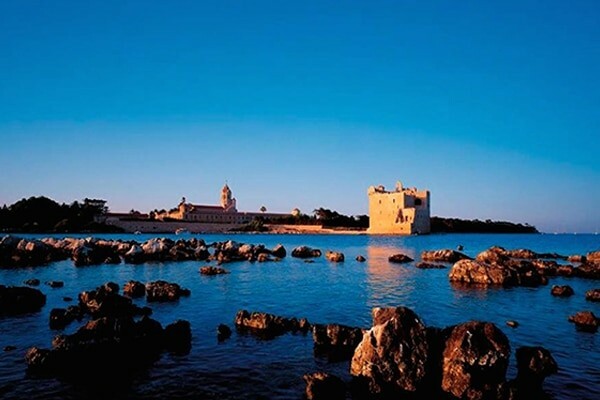 Slip along magnificent villas and discover the Cap d'Antibes. Discover the coastline of Golfe Juan in Juan Les Pins. Rent your stand up paddle and discover the joys of slipping on the water, rigid boards and inflatables of very good quality adapted for all levels. Ideal spot to start and improve! 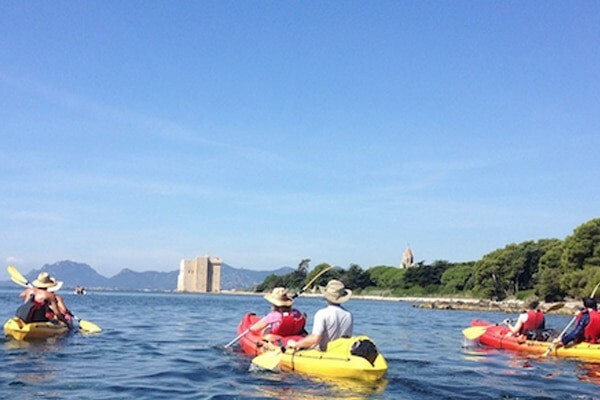 Discover by sea kayak bi place or single-seater, the magnificent islands of Lérins departing from the Palm Beach in Cannes. Discover our different sailing sites: Theoule sur Mer, Cap D'Antibes, Villefranche Sur Mer. Discover the paddle yoga on stable and comfortable boards, an activity supervised by professionals of the discipline. NEW! Come and test the Giant paddle, sail to several on this Big Stand Up Paddle in Cannes. Try to tame this sea monster by standing on it! Laughs guaranteed! We offer high quality inflatable stand up booths for hire. The paddle comes in a backpack with leash, paddle and a powerful pump for quick and easy inflation. 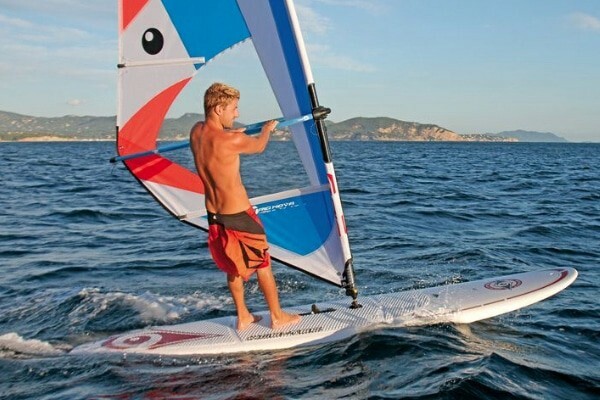 Test our Duo board so that we can sail together on our boards specially designed for this practice. To discover quickly. Go sailing in the sandstone, and discover with friends, the pleasure of sailing, aboard a cat hobby. Fan of slips or just get started with the sail board, find us every day and navigate safely. 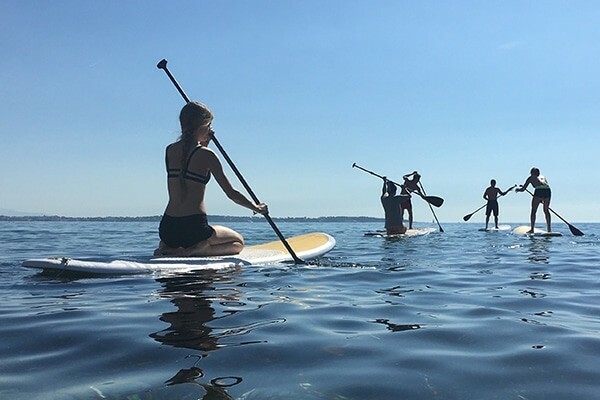 Cannes Stand Up Paddle Evasion proposes you to discover the islands of Lérins in Stand Up Paddle, an original and playful way to discover this fabulous archipelago located just in front of Cannes.